You will be glad that you took the time to do it well, Richard. Thank you Ron. The challenge now is looking at what I have done and how long it has taken me and then thinking about how much I still have to do! Hopefully having now established a process things will move slightly quicker, although when I get around to the other side of the layout there will be two crossovers to fit so lots to think about there. Great modeling. 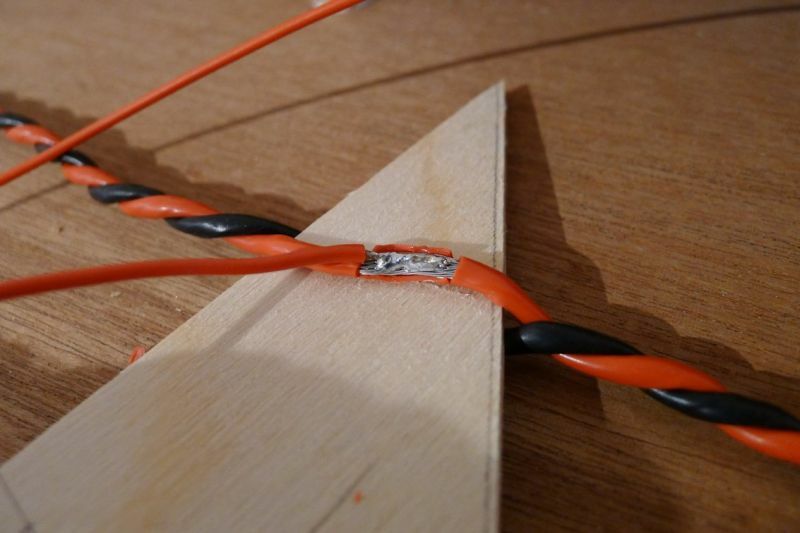 One tip for soldering to the underside of the rail is to cut the webbing joint on a few sections around the soldering point, and to push the sleepers along a bit. Put a piece of wet kitchen towel either side of where you are welding. Saves melting the adjacent sleeper. Push the sleepers back when done. Use a 3/16" or even a 1/4" drill bit for the dropper wire and have them offset so they are just outside the rail. Have the drill at 60 degrees so the hole slopes. Or drill vertically and file the inner lip with a round needle file. 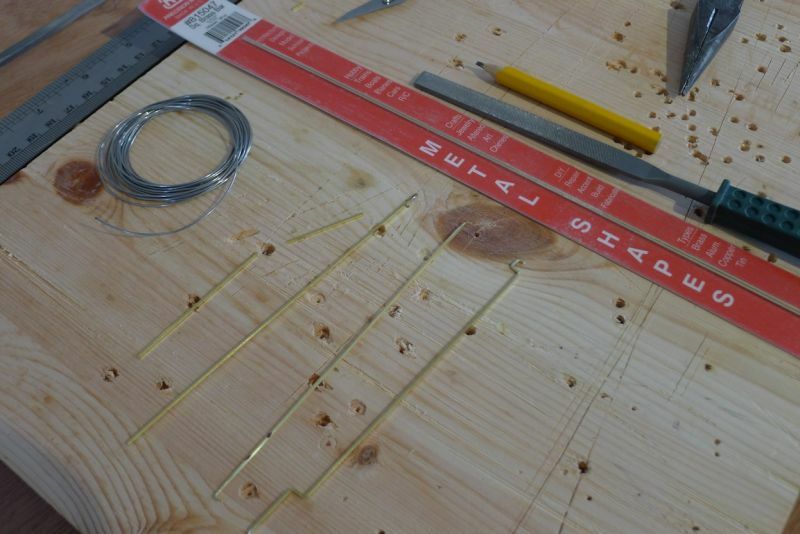 That way you can pencil in the space between the sleepers and see exactly where you need to drill. X definitely marks the spot. You will have to bend the dropper slightly out. 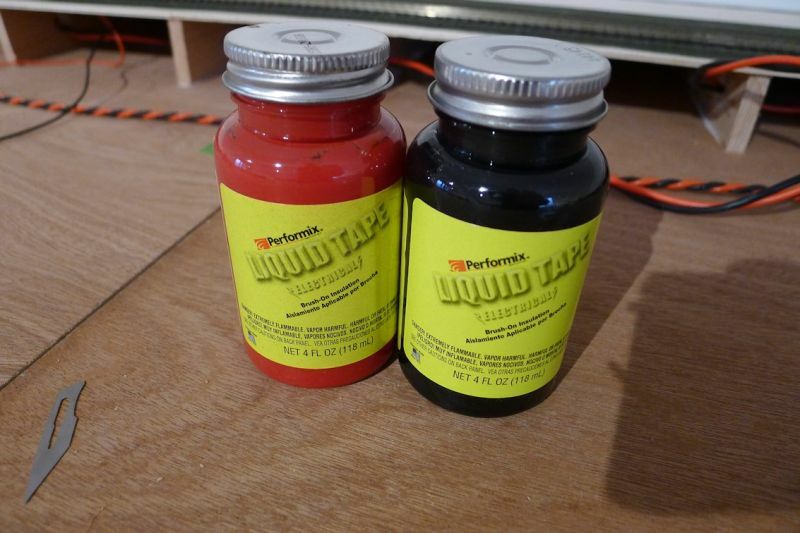 Fill with silicone or epoxy or even wood filler. Ballast will hide all. Hi Nigel, Many thanks for the tips. 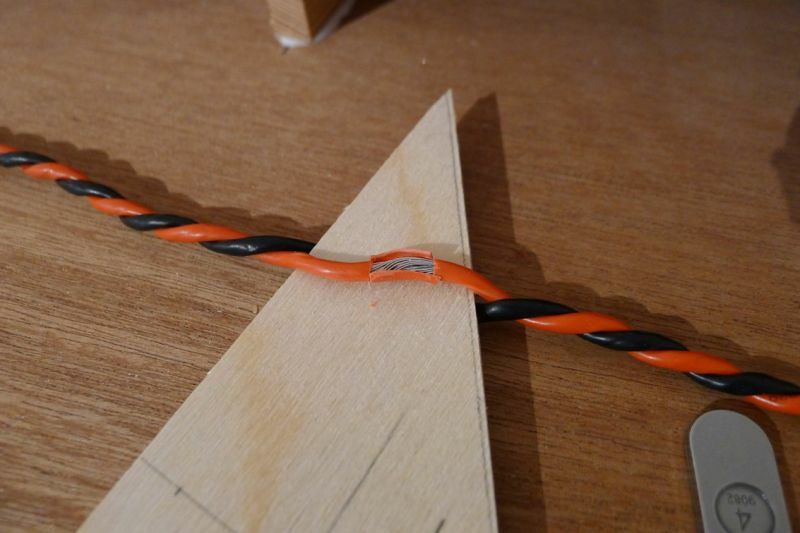 I had already developed the technique of moving the drill bit backwards and forwards to create a slot, which give a little bit more flexibility without making too big a hole. They key is defenately accurate marking, which usually requires the piece of track to be fully fitted first, then removed again for soldering. As for the sleepers I sometimes feel like you need three hands, especially on a curve where any slight movement displaces the rail from the gap in the sleepers. I have learned to be careful and delicate! I tried using the track clamps but very quickly gave up on them as they all to frequently pop off just when you least want them to. I have managed to find a soldering iron and tip that puts a neat blob of solder onto the rail, suitably fused to it, without transferring too much heat into the adjacent sleepers. 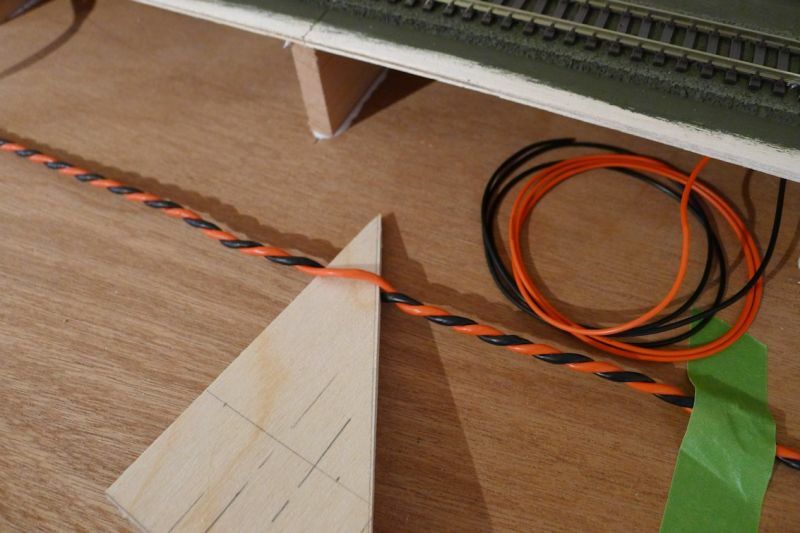 The 1.5 mm droppers for the live steam track are a bit more challenging but even they seem to go on neatly. Care, preparation and a bit of practise seem to be paying off. Glad to hear you are using slots rather then holes. Use those dress-making pins with the big round heads in various colors to keep track in place. Strategically placed they will hold straight (tangent) and curved track in place (insert them into the cork inside and outside the rail head, stagger them along the length). You can even lift the piece of track up to paint some PVA underneath and let it drop in place. Support with wood blocks either end. I use a felt-tip pen to mark around some sleeper ends so it drops exactly where it should. 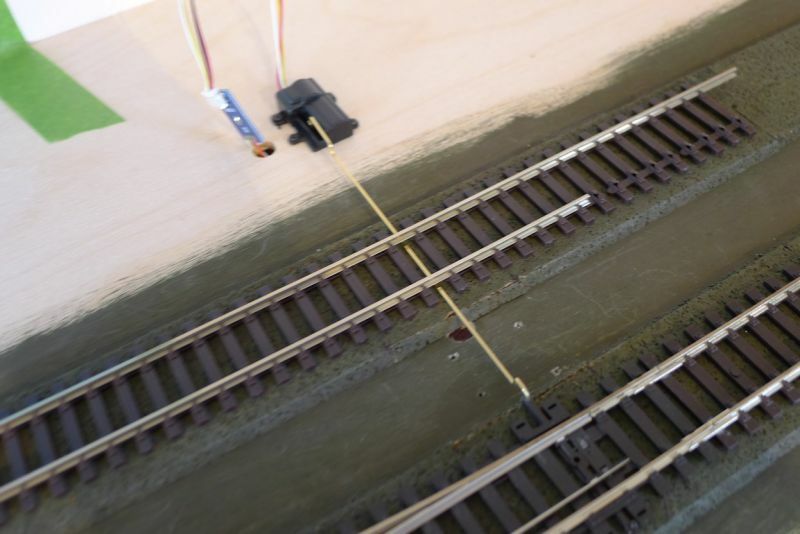 With a bit of practice you can paint with PVA to the edges of the ballast line (or in yoiur case the cork track base), drop the track, and add ballast in one go. Mist gently with water/IPA (75:25 by volume) and the ballast should not stick to the top surface of the sleepers. There are ways to stiffen up flex track (spray lightly with matt acrylic while straight, when dry there is enough acrylic in the joints to make it stiff), but pins are best. If you think Peco is bad for keeping in place, Atlas is even worse. It's not bendy, it's whippy. These days I use copper clad rail joiners between track sections rather than rely on rail joiners. You don't actually need insulated rail joiners on the frog exits - an air gap is as good as a plastic one. Controversial, but try it. Many thanks for all the suggestions Nigel. I like the idea of pinning the track and I'm feeling a bit reassured that I'm not the only one who has a challenge with flexible Peco. It does look neat when laid but a lot of swearing has helped to get it there! Time for a bit of an update. First of all the underlay has now finally been completed around the two main tracks of the higher level with the crossovers also done as well as a line to the engine shed. I still have to do a siding on the North side to run along the loading bays and warehouses but the main work is done for now. Next job was to fit the second points motor below the staircase 'causeway' and wire it up to the DCC bus. Armed with the knowledge gained from the first one this went in fairly quickly and, after a couple of calls to the guys at DCC Concepts to help me address the first one I was able to set this one up very easily and quickly. Its a shame I only have these two as all the remaining ponts motors are going to be of the Cobalt SS type. Next job was to work out how to complete the soldering of the bus connections, which is quite tricky with pre twisted cables. 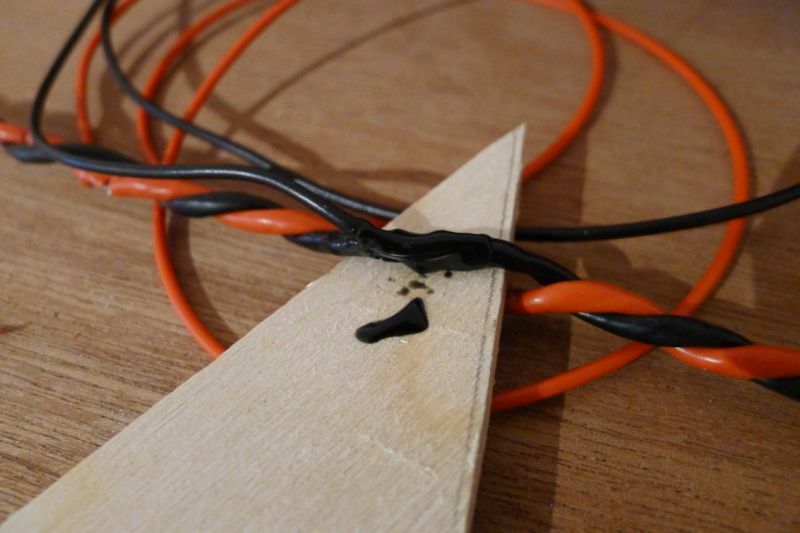 I want to displace the connections to minimise the risk of any shorts being experienced so simply cut open the insulation for a few milimeters, tinned the exposed cable and soldered the end of the dropper to it. I really wanted to avoid cutting the bus to minimise any resistance losses in it so opeing it up with a wedge of wood allowed me to work on it while maintaining the access and achieving a strong joint. Finally I sealed the soldered joints with liquid insulation. One thing this has taught me is to try to minimise the numbers of connections directly to the bus as the twisted cable is quite tight and opening it out for numerous connections adjacent to each other is going to be tricky. Consequently when I move on to the Cobalt SS motors I will be looking at a single dropper connection for a control board and take the power for the points from this dropper rather than the bus. Next job was the first play around with the Cobalt SS point motors and controllers. I first of all rigged up a temporary test by taking power from the bus to feed into the controller and connecting two of the Cobalt SS motors. The controllers can actually power three motors comfortably on each address however there are only two addresses available on each board. Consequently for a crossover both point motors can be arranged to change simultaneously on the one command, which is very convenient and, of course cheaper. In the case of the first one I was playing with I wanted one address to operate the two points of a crossover and the other address to operate the point for a siding. The test set up included the board and two motors on one address coinnected together with a 'Y' lead and an extension. After only a little bit of playing around I soon found out how to asign the address from the DCC controller, which, once the order of play was understood, proved to be extreemly easy. The manufacturer even thinks to include a reversing connection on the 'Y' leads to give you even greater flexibility with the plug in arrangement. Next job was to decide which of the many linkages supplied with the motors to use to connect to the point. These all give you flexibility depending on your underlay, scale etc..etc.. I found that the orange labelled packet worked best however I was not happy with the placing of the motor and realised it was time to decide just how I was going to mount all my motors, bearing in mind the old chestnut of balancing the operation against the scale reproduction. All I have decided so far is the fact that I want the motors to be hiden below various assorted track side huts with the linkages arranged to at least represent realistic rodding and interlocks. I am therefore going to have to decide how to extend the linkages from the motor to the point operating arm while maintaing a degree of realism. More to come! Not sure how frequently you have been operating the Cobalt SS motors. You may not have yet experienced the problem I have had. "We have recently found that there is an issue after powering down if they are set to CCW. The problem has been resolved in software and the current units cannot easily be reprogrammed. The next production batch will have the amended software. The immediate fix is to run with the switch set to CW and use the reverse extension as supplied with the motors and control board. If you do not have enough reverse connectors, we will send one out to you". The fix works on one motor and they are sending me a reverse extn for the other. Firstly very many thanks for your warning. I have had many discussions with DCC Concepts recently, one of which culminated with the very advice that you have mentined above. 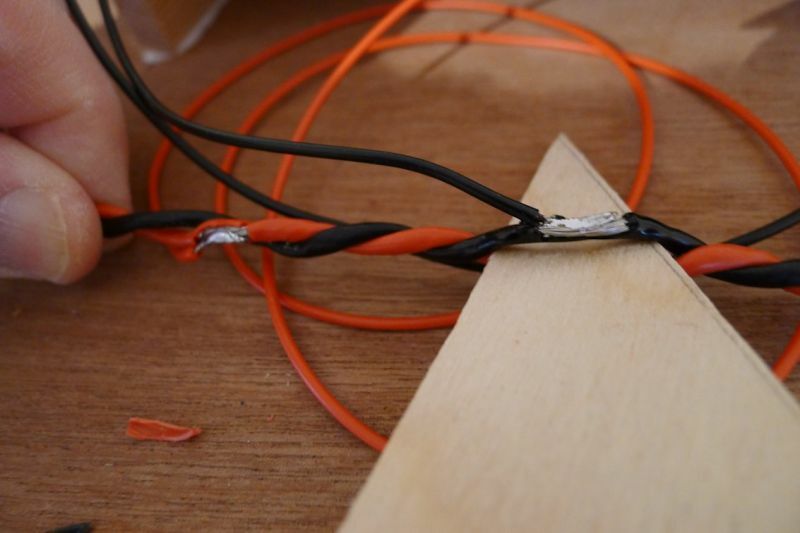 After much testing on the bench I did in fact prove that my set up was experiencing the same issues however as my first set up was a crossover with two points connected to the same splitter the solution was to simply change over the connections on the splitter board. Since then further extensive testing has proved a reliable operation. I will be exhaustively testing everything as I progress this project before committing to further installatioins just for my own peace of mind and to minimise wasted time. 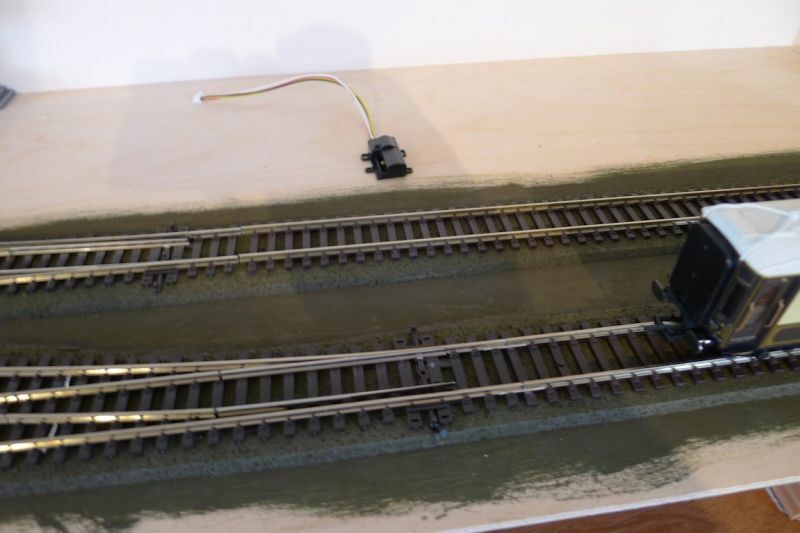 I now have two operational points connected together on the one address operating as a crossover reliably and repeatedly so I will leave that with temporary non soldered connections and have a go at the second one. I do now actually have a loop so I can operate a loco as I work and so now continuously prove things as I progress. I was just about to update this thread with the latest which will explain what I have been through with this and how I have connected the motors to the points. So just to detail a bit on what has been happening with the points. As mentioned above firstly a loose set up was connected together using temporary dry connections to the bus. My first use of the Cobalt SS units was going to be the crossover to the live steam circuit so there is quite a lot going on at this particular part of the layout. Not only do I have the points operation to consider but I also have to be able to change the power supply over from the live steam transformer to the DCC controller and back again. 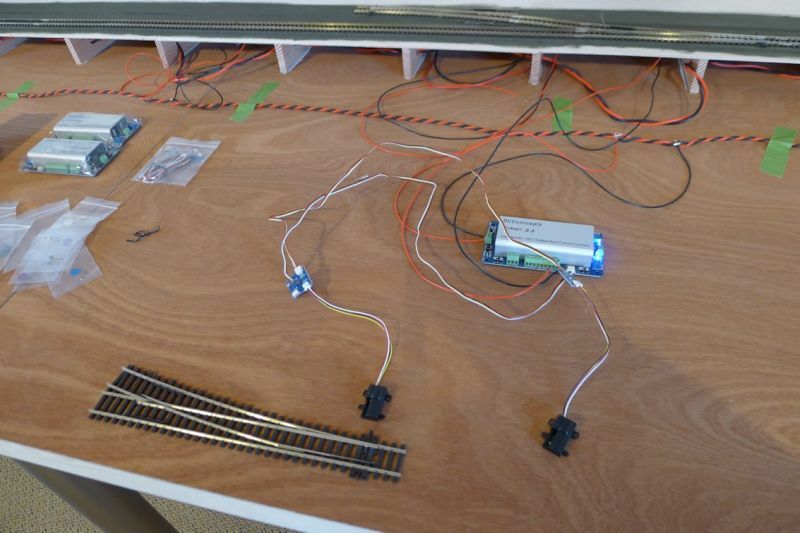 When the outer loop is on DCC the points and the circuit has to operate as normal and when on live steam the points have to be completely isolated from the DCC system. More about that part in later posts but for now the main objective was to simply get the crossover operating as a DCC set up. 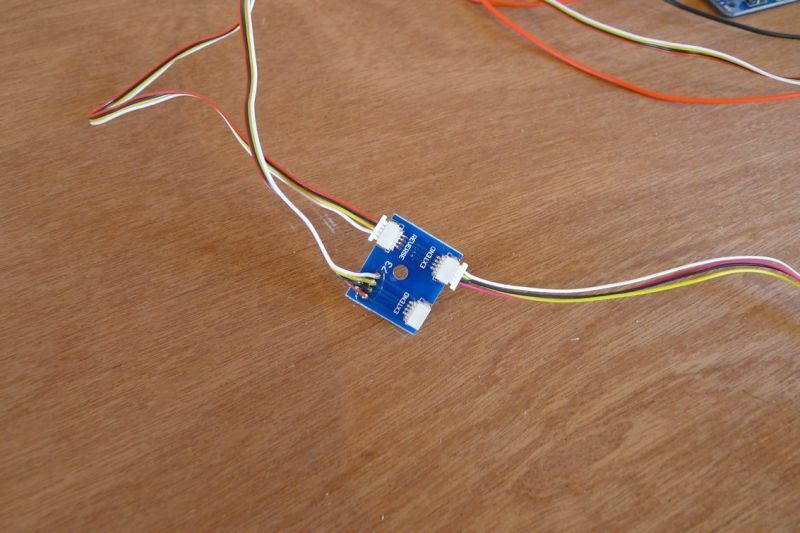 After the challenge described above was addressed by using the reversing 'Y' connector and the motors proved to be operational when sat loose on the layout the next consideration was how to connect the motors to the points. The supplied linkages are only good for having the motor very close to the edge of the track and I particularly wanted then to be hidden. Consequently longer linkages were going to be required and, despite the Cobalt SS instruction sheet referring to available linkage extentions, DCC Concepts seemed to have no knowledge of these and repeatedly tried to tell me I was misreading the instructions as this was referring to remote operation electrically. I'm afraid the instructions specifically refer to remote mechanical linkages. Realising therefore I was on my own with this I started to experiment with possibilities and purchased some brass 0.8 mm square section rod and a couple of differing sizes of plastic. The plastic turned out to be a non starter as it is way too flexible. So I was left with brass square section rod. I filed the ends down to a round profile before bending them into some sort of acceptable shape to roughly represent real life linkages. A couple of failed attempts later and I managed to come up with something I was happy with. 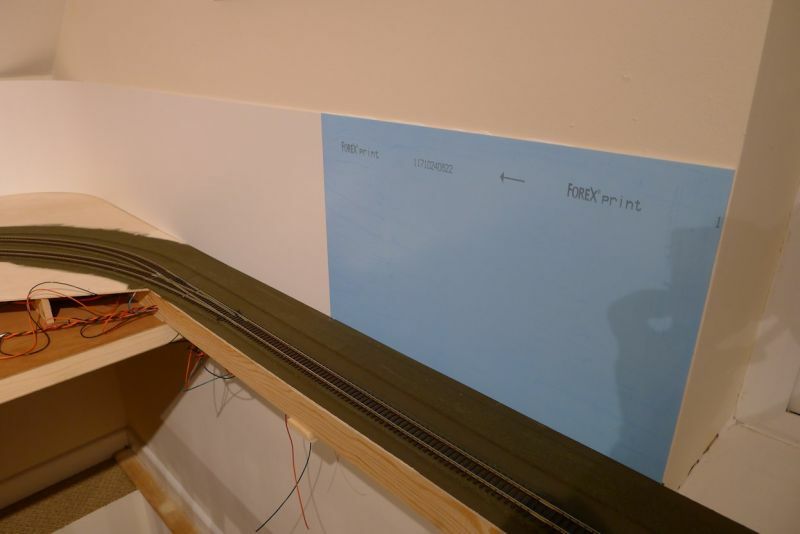 On one point the rods will have to run below the adjacent track in a fairly prototypical manner so the underside of the track will have to be insulated to prevent the rod shorting out the tracks. This will be done with small plasticard plates glued onto the base of the rail. The two motors were then mounted on the base board in an appropriate location to enable them to be covered and disguised by static rodding and tested. After a couple of misfires as a result of parts of the rods interferring with other bits they started to work well and have proved to be fine since. I will leave the temporary connections for now as I still have the change over arrangements to put in place for the live steam power supply. As often seems to be the case with such things parts of the project seem to be inter-dependant and such was the case with the upper level of the layout. On the one hand I want to locate point motors below suitable buildings but on the other hand building locations will also be determined by the backscene. Consequently while the building has been going on creating the backscene has also been progressing. I started off by looking closely at a couple of possibilities from the ID Backscenes catalogue, which seemed to fit the bill. I had also toyed with the idea of taking my own pictures but finding a suitable printing firm that understood what I wanted seemed to be a challenge, despite a number of phone calls. It was then that I noticed on the 'Art Printers' web page that they would also consider making a bespoke backscene from your own pictures. That was just what I was looking for. Next job was to take the pictures and that involved chatting up a friend who has 'contacts' in the local church and was able to help me by arranging to allow me access to the top of the church tower on a Saturday morning while the clock was being wound up. I therefore took my camera up to the top of the tower and took a great many sequential pictures at varying focal lengths while I tried to maintain a consistent perspective field and horizon position without the use of a tripod. When I got home I studied the shots, picked out the best focal length and forwarded the set to 'Art Printers'. Of course I wanted a backscene of 1 foot high by 29 feet long, times two, so the part of the shots that would be used was going to be only a narrow band either side of the horizon from my shots. John at 'Art Printers' stitched all the shots together before a few e-mails were exchanged to fine tune the results. John very cleverly copied and flipped a couple of parts of the scene to give me a bit more length and therefore allowed a wider band of the original pictures to be used, thereby increasing the resolution of the final scene. When I explained that I was looking at a 1940s era he also produced some further magic by removing some obviously new bouses as well as removing the solar panels from many of the house roofs. Despite all this work he did not charge any extra for the editing and the resultant backscene cost me no more than an 'off the shelf' one would have cost. He even gave me a discount for a large order! I cannot recommend his service highly enough. I must admit that when I first recieved the rolls I was a bit dissapointed as they looked quite indistinct and too soft however recent reading has taught me that the backscene should not be too sharp or high contrast as it will detract from the foreground and look unrealistic, bearing in mind that real distant horizons are not clearly defined. I decided to trust to the expertise of 'Art Printers' and reserve judgement until it was on the wall. For mounting I decided to follow the advice given by 'Art Printers' and use Foamex foam board in 3mm sheets, which can be puchased from the supplier recommended by 'Art Printers' at 2440 mm long by 300 mm high. This arrived superby packaged and in perfect condition so was unpackaged ready to fit. I used a high grip sealer/glue mastic and ran it over the back of the foamex before placing it against the wall and rolling it down with a small paint roller and a seam roller. I decided on a corner radius that enabled a smooth transition of the backscene without loosing too much of the available surface and held it in place with some masking tape overnight. The mastic proved to be particularly sticky however and it went into place easily. The blue is a protective film on the face of the Foamex. Next job was to place the six 1500 mm pieces of backscene on to the foamex and this was a bit trickier. I started in the centre and ensured that the rolled up piece remained square on the base at all times while it was carefully unrolled and pressed down simultaneously. An assistant makes this very much easier. I did the three pieces to the left of the centre line and the first piece to the right and the more I looked at it the more I thought it fit the bill perfectly. There were a couple of areas that I thought may require scenic breaks to hide but they are significantly fewer than I feared and I am certain that with some careful blending in and perspective assistance the backscenes are going to look better than I could have hoped. Then I came across piece number five of the first scene, which had a cut out in it to go around a wooden post in the wall as well as go around the corner, while I was straddling the open staircase and leaning across the corner of the board. I didn't get it square and so decided to try to remove it and try again. I ripped it while removing it so a phone call to 'Art Printers' saved the day as they keep all customers files and can reprint any part of your bespoke scene. Huge relief! I'll take another shot when this wall is finished but meanwhile I am very pleased with the results. Looks fabulous. Crystal clear days where you can see forever occur but I suspect less a less visible horizon is more common. Apologies for the period of quiet but things have been progressing. I will add a bit of an update soon. 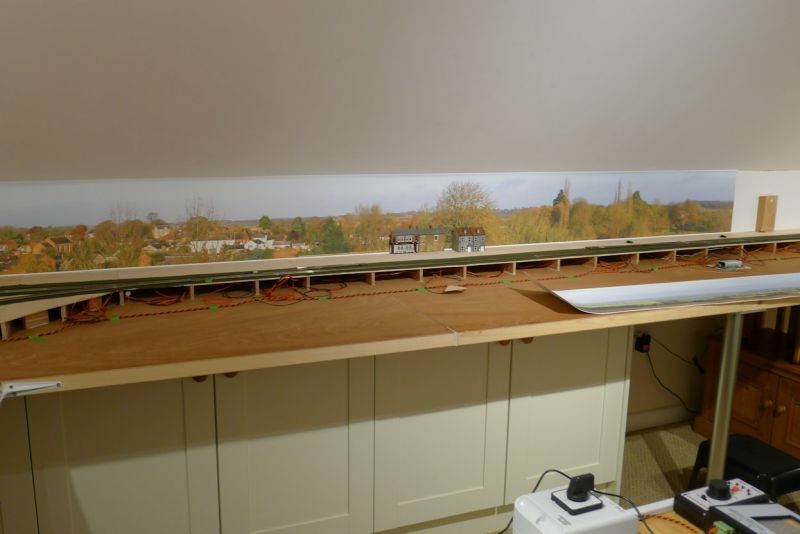 In the meantime I have been pondering the challenges of locomotive speed and trying to establish something a little bit less hit and miss than I get out of the box with L1s and J15s screaming around the layout significantly faster than the A4s!! All I now have to do is to adjust the limit on the speed controller to give me the time I am looking for. I have decided to work to 30 mph for goods traffic, 30-40 mph for suburban passenger lines and 40-50 mph for main line with the A3s and A4s going up to 60-70 mph. Very approximately!! 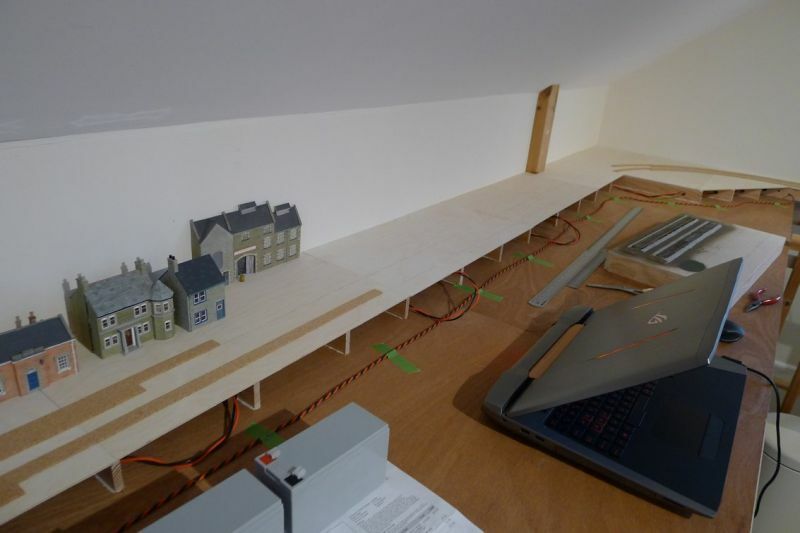 All you need to do is set up two points on your track 2.1 meters apart (figures, buildings, vehicles, signals etc), time your locos through them and see what the scale speed is from the table above. Really enjoying following this thread Richard. If you have time to visit members layouts to find "blossom Hill" you can see how i got over the problem of stock falling of the track over the stairwell. post 171 i think. I was also interested in your marking the controller in order to set up more realistic speed control using your measured mile idea . I would like to copy your idea , but i am not sure if the performance of my individual locos will allow me to get away with that, maybe near enough though. Meanwhile looking forward to more of your posts. Whoops ! I got that wrong more like post 71. Hi Reg, Thanks for the reply. The marking the controller was of course for the DC lads. 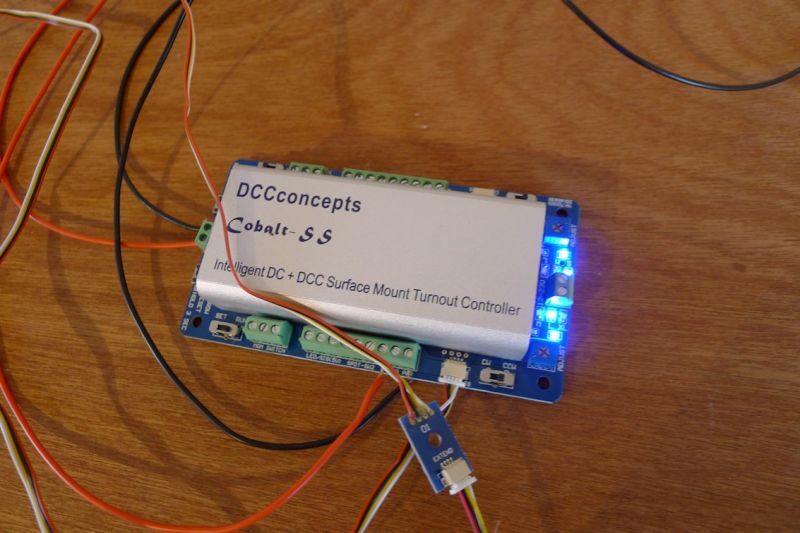 I am fortunate to have gone the DCC route so I can simply set up the limits in the controller. I have been playing this afternoon and have now set a J15 and a J50 to just over 30 mph, a N2 to about 40 and an A4 to 60 mph. I now feel that they are looking far more realistic in operation. For the DC systems I guess it would not be too difficult to have a scale around the controller knob and mark it off with lines for appropriate top speeds of various locomotives. As research continues alongside the build of this layout I have now finalised a suitable name for it that I think fits the bill much more specifically than East Coast Mainline and is much more appropriate for my local area. I am going to name the layout 'The Lincolnshire Loop'. I am only going to have a suburban station as I do not have enough room on the higher level for a mainline station but the terminous station with associated sidings, goods shed, engine shed and turntable will take up a fair chunk of space. 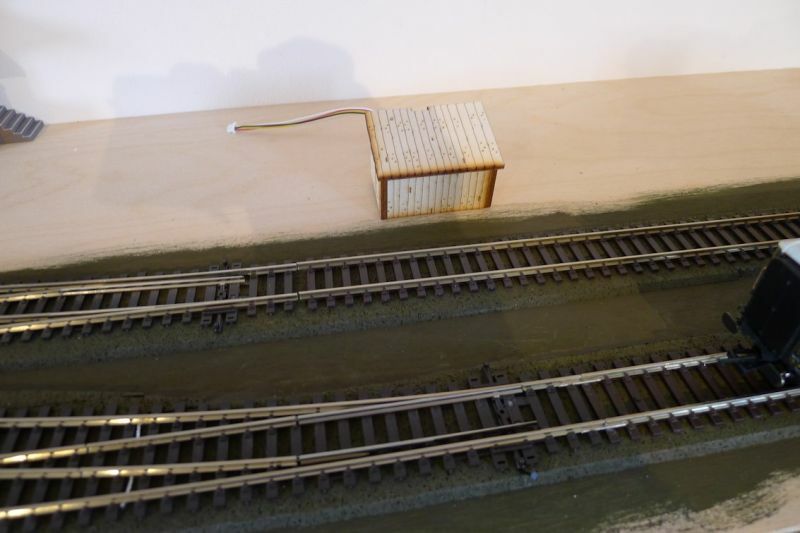 I will also have a very small terminous halt, which will actually be for the purpose of including a programming track next to the control area so its supply will be switchable. The stations will be called Kirkstead Junction for the suburban terminous and Timberland for the halt. It all seems to have that bit more of a clearly defined identity now that I have settled on names and I'm feeling more positive about it all. Apologies for getting onto the horse a bit late but I have been "binge reading" layout posts lately. 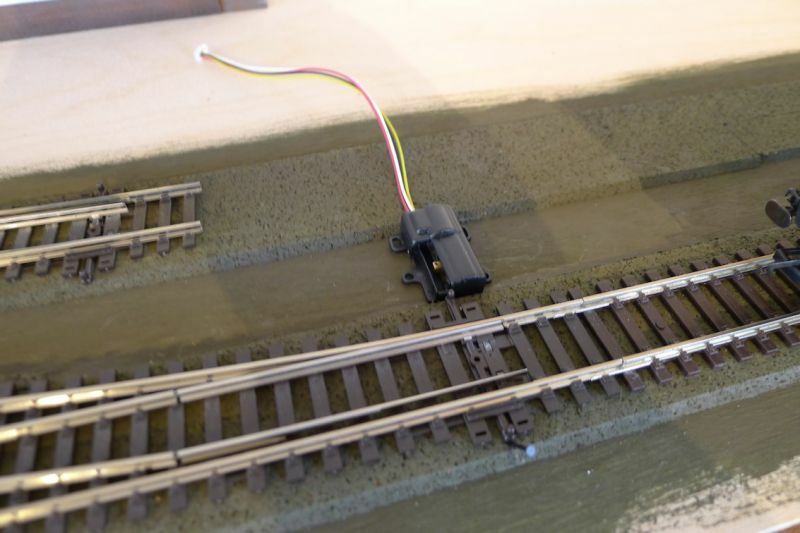 Going back to track laying and wiring, I have always soldered to the metal fishplates and despite the threat of a failed contact between them and the rail, I have never suffered such a problem - I use code 75. It also means that on a dark windy night, you can sit and solder a couple of dozen fishplates with different coloured wire ready for use. If the track section is extremely short and between two isolating fishplates, I resort to the method you use now. 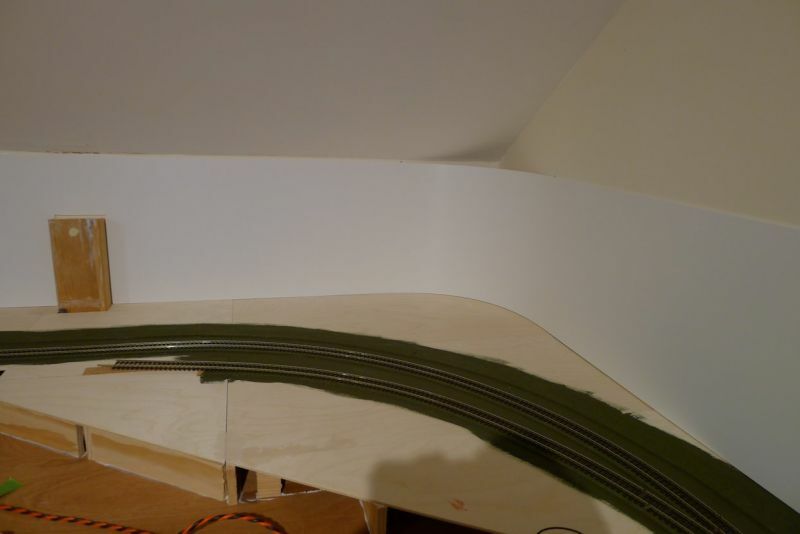 For laying track, I bought a set of Tracksetta curved/straight templates a few years ago and would not lay track without them. They come on a range of about 6 or 7 radii and the straight one is very useful when used with a 36in steel rule. The templates have slots to allow you to pin through the template into the track to confirm its final position. Nice updates - I look forward to seeing more as the layout progresses - particularly the live steam! 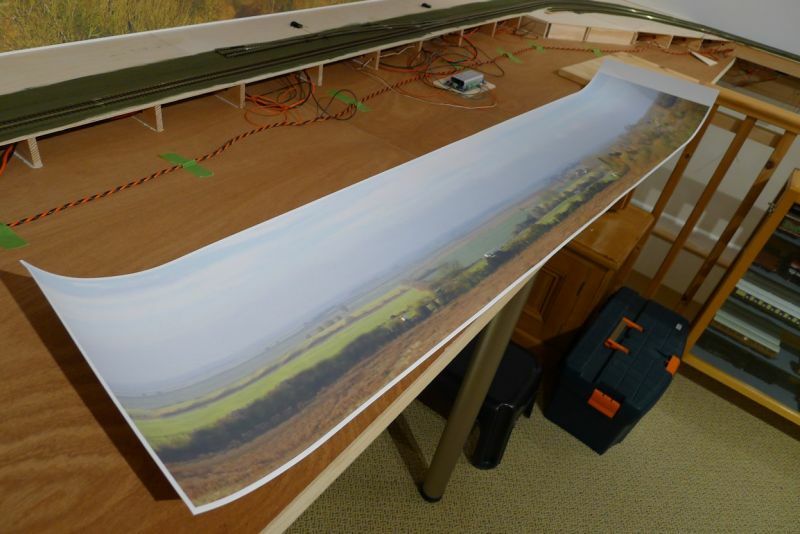 You are here: Your Model Railway Club > Model Railway Layouts. > Members Personal Layouts. > The Lincolnshire Loop.